Phew, going back to my day job was harder than I thought it’d be! 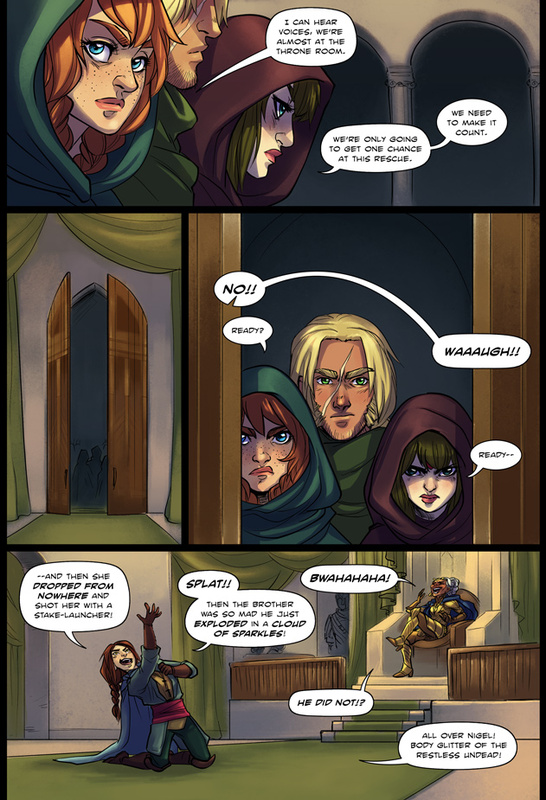 But I pulled through, and here’s a page! The team valiantly prepare to…. do SOMETHING to Sid. Rescue him? Punch him? Hard to say!